With impending holidays, winter harshness, and New Year’s resolutions looming ahead, we’re feeling the pressure to look our best. Whether you’re aiming for the casual elegance of a model on her day off or the dressed up glam of a runway show, these beauty products are must-haves for your routine. We’ve got something for your hair, your skin, and your makeup needs, topped with the lasting impression of your scent as you walk away. These beauty products have all of your beauty needs covered so you can step out in celebrity style! Dickinson’s Toner. Photo: Courtesy of Lippe Taylor. With the first ingredient listed being 100% natural witch hazel, you know what you’re putting on your face is great for your skin. Witch hazel is a natural remedy that removes oil and impurities without drying your skin out. 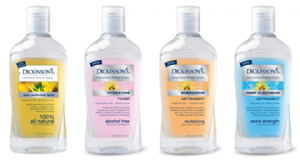 Dickinson’s toner is a gentle way to remove makeup, free of soaps, dyes, parabens, or sulfates. Fighting winter skin blues starts with your skincare routine, so find products that are healthy for your face. 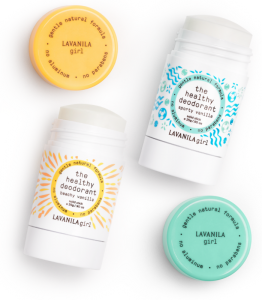 Lavanila Healthy Deodorant. Photo: Courtesy of Tractenberg & Co. This deodorant is specifically engineered for tween and teen girls. It’s an all-natural, powerful, gentle, and non-irritating deodorant that is also non-whitening. Super soft under the arms, this solid twist-up beauty product is vitamin-rich without the inclusion of aluminum or other harsh chemicals. Using health-promoting beta-glucan technology with antioxidants, active botanicals, and essential oils, it will fight underarm odors by preventing the growth of bacteria. Available in Beach Vanilla or Sporty Vanilla, help your teen feel flawless with this healthy deodorant! Joe Segel, CEO of ProfilePro LLC and QVC, has launched a new hair-care product line specifically for women thirty and over. Available for customization, users can answer questions based on their hair’s needs, hair goals, and lather and scent preferences to pair them with the best shampoo and conditioner for their needs. Scents to choose from include citrus, coconut, lavender, vanilla, or jasmine. 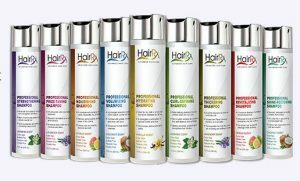 A number of styling products are available for separate purchase. If you don’t know where to start on your hair journey, eight different salon-style sets come with shampoo, conditioner, and styling products based on specific hair-care needs. No matter the phase of life you’re in, these beauty products will make you feel gorgeous. Hard Candy Perfumes. Photo: Courtesy of dna Public Relations. Exclusively available at Walmart, Hard Candy perfumes are the perfect budget-friendly beauty product to make you feel confident going out on the town. Available in Pink and Black scents featuring a blend of fresh fruits and elegant musks, these perfumes were inspired by the confident, edgy, and flirtatious Hard Candy girl herself. With top notes of fruit, middle floral notes, and lower, sweeter flavors, these perfumes will keep people intrigued. Models Own beauty products. Photo: Courtesy of dna Public Relations. Models Own beauty products have everything you need to look your best for the perfect date night. With lipstick, highlighter palettes, eyeliner, and eyeshadow kits, this product line meets every need. Their Lix Matte Liquid Lipstick is available in “Strawberry Mojito” and “Eucalyptus Pink” and have a fresh minty scent to make your lips irresistible. The Sculpt and Glow Highlighter Palette comes in “Gold Spotlight,” including three shimmers that define and illuminate for just under $20. 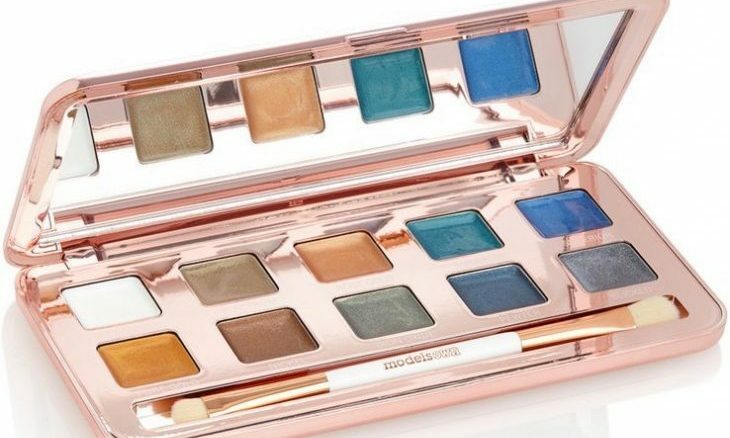 Their Colour Chrome Eyeshadow Kit comes in both “Copper Lustre” and “Golden Lights” to match all skin tones for a metallic finish to your look. Combined with primer, this eyeshadow will last longer than you will. To finish your look, I-Definer Black Eyeliners comes in “Liquid,” “Kohl,” or “Duo” to add a subtle or sassy look. Models Own is exclusively available at Ulta. Rely on these amazing beauty products to beat the winter blues and perfect your look for the most amazing date night!